NEW YORK, NY / ACCESSWIRE / December 26, 2018 / Dr. Umbareen Mahmood, a Board Certified and double Ivy League trained New York based Plastic and Reconstructive Surgeon, is pleased to announce that she is opening her new practice. She employs both surgical and non-surgical techniques tailored to the individual patient and is excited about providing her services to patients in her own practice. In her new practice, she offers a wide variety of treatments and procedures. Everything from abdominoplasty (more commonly known as a ‘tummy tuck’) and liposuction, breast surgeries including breast reduction, breast lift, and breast augmentation, to treatments for gynecomastia. In addition, she also provides nonsurgical procedures including Botox and dermal fillers, along with services targeting skin issues, such as scars and various lesions. View her Facebook page for more details about her practice and to contact her with additional questions. Dr. Mahmood has a lot of experience, not just in her field, but also in the medical industry as a whole. She has undergone extensive training in plastic and reconstructive surgery at the University of South Florida. In addition, she has also worked at several prestigious institutions such as the Moffitt Cancer Center in Tampa, FL, All Children’s Hospital in St. Petersburg, FL, and was actively involved in the medical care of veterans at two large Veterans’ hospitals. Furthermore, she has also written and published several medical articles relating to the field of plastic surgery. 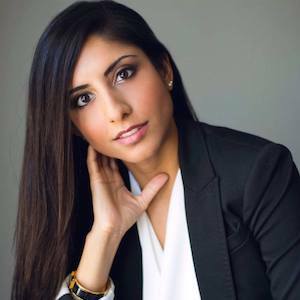 In addition to her Facebook page, Dr. Mahmood’s website, drumahmood.com, has even more detailed information about all the services she provides, along with other testimonials from her clients. Schedule your free consultation today by calling, (917) 426-2936.